Living on an island in the middle of the Atlantic Ocean brings a unique perspective and appreciation for the impacts of marine debris. 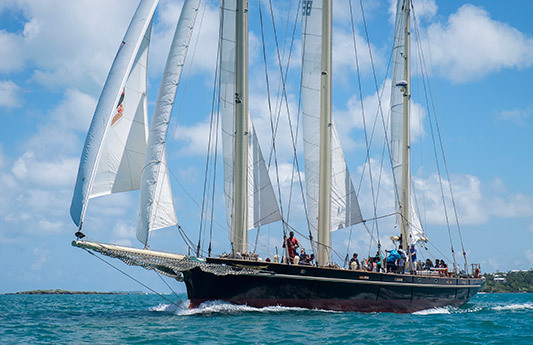 For ten years, the Bermuda Sloop Foundation has provided unique learning experiences for middle school students on the island aboard their Sail Training Vessel Spirit of Bermuda. In the course of a “school year,” approximately 300 Middle School-age students participate on a 5-day, 4-night rite of passage, using ‘Training Under Sail’, a uniquely powerful context for learning and self discovery. 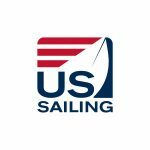 With a grant from 11th Hour Racing, the Bermuda Sloop Foundation will now incorporate programming focused specifically on the impacts of marine debris in Bermuda, and how the single-use plastics that are everywhere in daily life end up in the ocean and impact marine ecosystems. The goal for this program is that every student that leaves the ship has an increased understanding of ocean plastics and how their personal behavior is vital to eliminating trash in our seas. Develop curriculum to be used onboard the Spirit of Bermuda focused on marine debris exploring: how land-based litter ends up in the ocean, how long it takes to breakdown, and the impacts it has on the wildlife and habitat around Bermuda. Students will also learn about how to reduce their individual impact, as well as how to encourage more sustainable efforts in Bermuda. 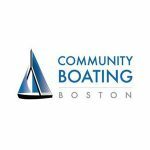 Implement marine debris program on each 5 day student voyage (approx. 300 youth per year). Conduct trawls for ocean plastics to investigate how plastics degrade and how plastic pollution exists even at the smallest scale. Evaluate increases in knowledge and awareness among participants, and capture long-term behavior change among students and community. 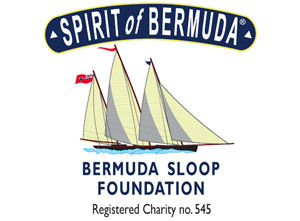 The Bermuda Sloop Foundation is an active registered Bermuda charity, that owns and operates the STV Spirit of Bermuda, which is entering its 10th year of operation. The Bermuda Sloop Foundation is committed to providing positive expeditionary learning experiences for almost every student on the island. In the course of a “school year,” approximately 300 Middle School-age students participate on a 5-day, 4-night rite of passage, using Training Under Sail, a uniquely powerful context for learning and self discovery. Briefly, students enter into a new operating community completely disconnected from their life ashore; they become trainee crew. The Bermuda Sloop Foundation recognizes that children learn differently, and many of Bermuda’s youths do not acquire information optimally in a traditional classroom setting. 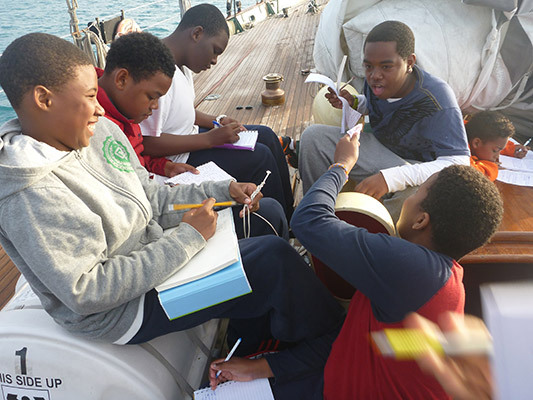 On board our floating classroom, Spirit of Bermuda, we provide character and educational development for these and other Bermuda youth using the unique attributes of structured experiential learning through sail training (learning by doing). By providing this alternative learning environment, we strive to increase their positive life outcomes, and to create awareness of and pathways to technical, mechanical and marine-related careers for young Bermudians.